BARCELÓ MAYA - THE BEST BEACHES IN THE RIVIERA MAYA! 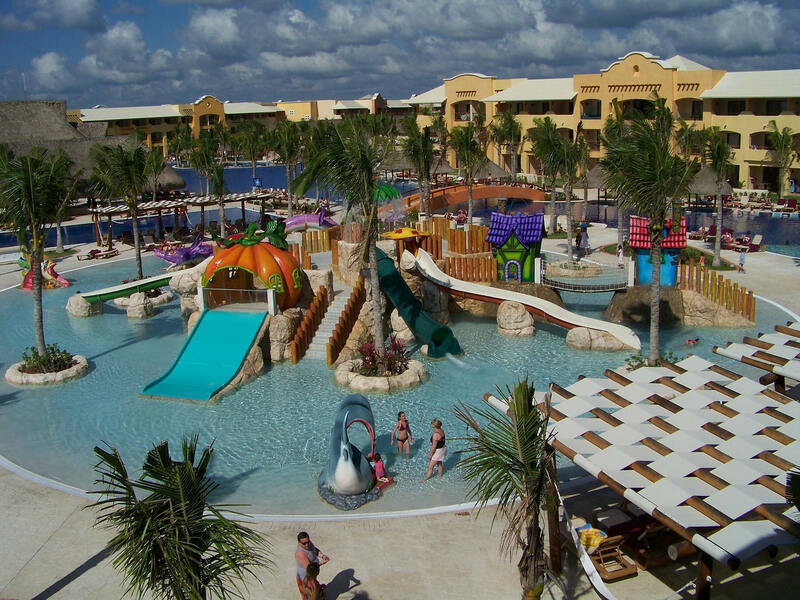 BARCELÓ MAYA PALACE - All Suite, All-Inclusive Premium Resort! 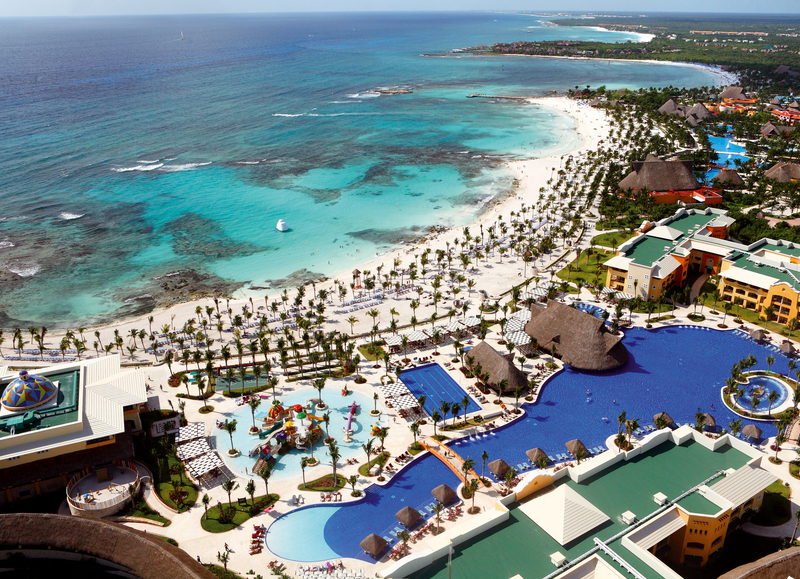 Dream Beaches, Exceptional Value & All-Inclusive Vacations for Couples, Families and Friends at Barcelo Maya Palace Resort! Discover the opulence of Barceló’s newest hotel in the Barceló Maya - Riviera Maya, Cancun Complex. The All-Suite, All Inclusive Barceló Maya Palace, the most luxurious in our 5-hotel complex, is located on one of the best beaches in all of the Riviera Maya and is between Playa Del Carmen and the intriguing ruins of Tulum. The Barceló Maya Palace, offers discerning guests an all-suite property featuring lavish accoutrements and impeccably-detailed service from our staff. Step into your relaxing oceanfront sanctuary to be greeted with calming, thoughtfully-chosen décor accented by plush amenities. Oversized windows look out to breathtaking views of palm-dotted sands leading to sparkling jewel-toned waters beyond. Mere steps from your decadently-appointed suite, clear, turquoise waters beckon you to spend lazy afternoons on a spectacular stretch of pearl-white sand. For more active adventures, this two kilometer beach is the perfect haven for activities including snorkeling, sailing and windsurfing. Daily Activities: Lighted tennis court, Spanish lessons, dance lesson, water polo, be ach/water volley- ball, basketball and ping pong, snorkeling, kayaking, diving, Sunfish Sailing, & windsuring. As a guest of this Barceló Club Premium hotel, you will be impressed with an extravagant array of dining options including delectable a la carte restaurants, exquisite buffets, 24-hour room service and an assortment of snacks. 2 Buffet Restaurants - 1 International and 1 Hacienda Style The buffets include a wide variety of dishes to choose from including on the spot cooking as well as a great kids buffet. *A reservation and formal dress are required. For 7-night stays, you will receive 4 tickets valid for any of the restaurants. For 4-6 night stays, you will receive 2 tickets. Restaurants are subject to availability. Reservations can be made in advance and we recommend you make then as soon as you've checked into the resort..
Special Inclusions - Stay At One, Play At All - Guests staying at the Barcelo Maya Palace have full access to the complete Barcelo Maya complex as well as the opportunity of a "dine-around", which includes all the restaurants and bars of the neighboring hotels Barcelo Maya Colonial & Tropical and Barcelo Maya Beach. This includes all beverages (alcoholic and alcohol-free), both nationally-produced and imported. Consult your hotel upon arrival for details and restrictions.